It all happened in an engine shed. 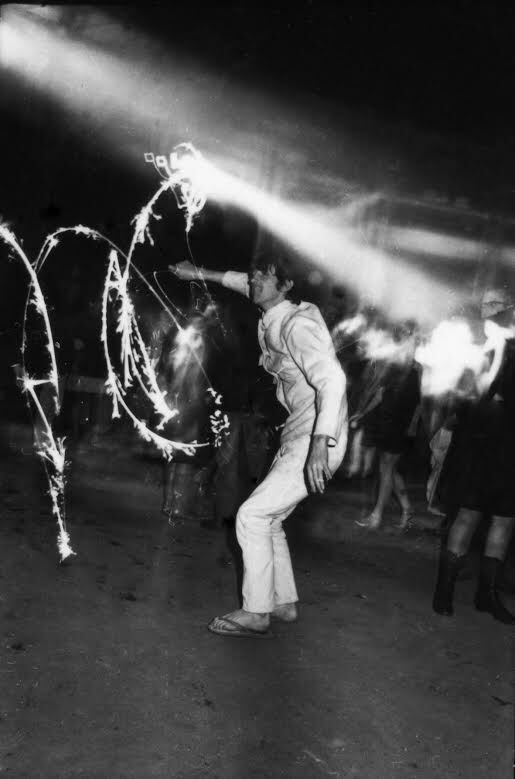 If there was a time and place when Camden Town became cool, it was at the Roundhouse one October evening in 1966. ​That was the moment when psychedelia came into style and Camden gained the counter-culture credentials which, in very different fashion, are still reflected in the trendy stalls and markets around Camden Lock. The venue for that political, musical, cultural conjuncture was, fittingly perhaps, a legacy of the defining aspect of the old, soot-ridden Camden: the railways. Houses were knocked down; streets broken through and stopped; deep pits and trenches dug in the ground … In short, the yet unfinished and unopened Railroad was in progress; and, from the very core of all this dire disorder, trailed smoothly away, upon its might course of civilisation and improvement. Just as Dombey and Son was appearing in serialised form, detailing the devastation visited on Camden’s fictional Stagg’s Gardens, the Roundhouse was being built as a locomotive shed, complete with a turntable which gave this glorious building its name and shape. That turntable was only used for about a decade, because the engines got too big. The building then became a warehouse, notably for Gilbey’s gin, and eventually fell derelict. The renaissance of the Roundhouse started in 1964 when the playwright Arnold Wesker launched Centre 42 there, winning trade union support for the creation of an arts and cultural centre. But the moment that Camden became hip was two years later, on 15th October 1966 – when Pink Floyd and Soft Machine, neither then signed up to a record label, played at the all-night launch party of International Times (IT), one of the more cerebral of the ventures of the sixties alternative press. there was no proper floor, and great jagged pieces of metal stuck up through a layer of grime. There were only two toilets, and the electricity supply was about the same as that of a small house, powerful enough only to light the building. There were several large doors opening out on to the railway freight yards, but the entrance staircase from Chalk Farm Road was so narrow that only one person at a time could enter or leave. On that night, 2,000 youngsters made their way up and down that far-from-adequate stairwell. But the venue delivered. "It was great," recalls top record producer Joe Boyd. "Very raw, dirt on the floor, unheated - but strangely spectacular." ​Then there was a giant green jelly which was intended to be part of the performance. But as it was tipped out of a tea chest, the jelly snagged on the rim and spilt and slithered all over the floor. "So I took off my clothes and jumped in’, recalls Mike Lesser, still associated with the now online International Times. A photographer was at hand – an image which he has been unable to escape. ‘Me standing up stark bollock naked in the jelly – it’s haunted my life!" And on the stage? ‘The Pink Floyd, psychedelic pop group,’ – reported IT in its second issue – ‘did weird things to the feel of the event with … slide projections playing on their skin … spotlights flashing in time with the drums.’ It was one of the first psychedelic light shows. The fuses finally blew at the end of the Floyd’s Interstellar Overdrive. She has a clearer recall of the New Year’s Eve event of ‘psyche-kinetic destruction’ at the Roundhouse a few weeks later, with an even more stellar line-up. A press release promised that The Who, ‘pioneers of destructive pop’, would ‘attack their array of electronic gear’, while The Move would ‘get through TV sets etc’ and Pink Floyd promised light effects to match. While the bands played, Di and a friend – at the behest of an artist – drove a silver-sprayed Cadillac into the auditorium. "I was both excited and terrified" – the terror coming from driving into crowds who were facing the other way, standing and dancing near the stage. "We were both dressed from head to foot in silver – soft helmets, in vogue at the time, silver mini culottes" – she still has these – "and silver tights. Bringing the car to a standstill at the foot of the stage, we both got out carrying large axes and began to smash the car. Friends standing round us were unable to hold back the crowds, some of whom wanted to stop us while others wanted to help and grabbed the axes from us." Smashing! The Roundhouse quickly became the counter-culture’s venue of choice. Two years later its bookshop of choice, Compendium, opened a short distance away on Camden High Street, selling beat poetry, obscure anarchist papers and a lot more to supply the scene. It remained there until 2000 when the shop became – ouch! - a Dr Martens. A Sunday crafts market got going at Camden Lock in the early seventies. That developed, for good or ill, into the Camden market scene of today. What a transformation. As Barry Miles has said, ‘that whole area was just bleak and dead before the Roundhouse became a venue’. The loos are better, and the stairs a whole load safer, at the Roundhouse these days – and happily it continues to be a great place for music and performance.